Excel is a powerful, flexible tool for every analytics activity. 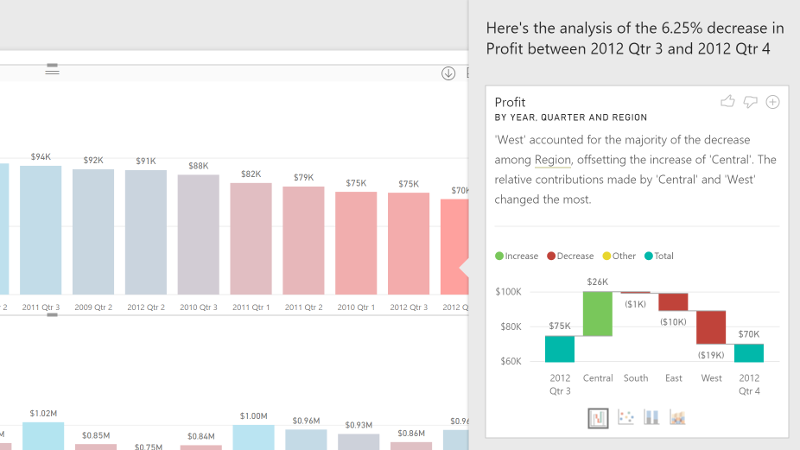 Combined with Power BI, it gives you broad data analytics and visualization capabilities. Use the apps together to easily gather, shape, analyze, and explore key business data in new ways—all in less time. All the queries, data models, and reports you create in Excel can transfer to a stunning interactive dashboard in Power BI - and you don't need to learn a new application or language, saving you time. 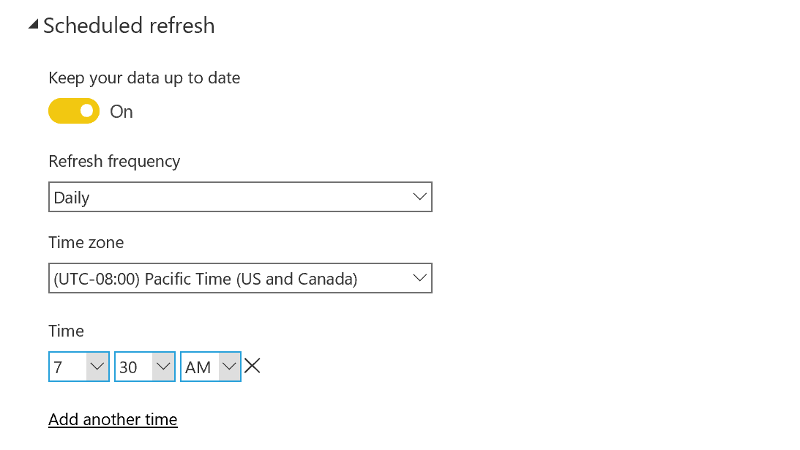 When using Schedule Data Refresh, your data sources configured in Power Pivot will be refreshed in the background. When you open your dashboard, the right data will be there—without requiring any action. By connecting your Excel workbooks to Power BI, you can display ranges of data, charts, tables, and more on a Power BI dashboard, combined with data from other sources. 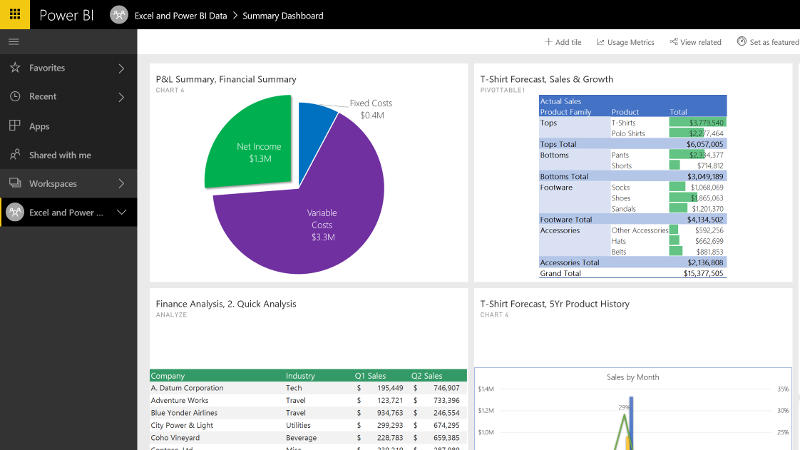 With rich, interactive visualizations and the ability to ask natural language questions, Power BI can extend the power of your Excel data models to your reports. Colleagues of varying ability and experience—even those who aren’t Excel experts—can understand your insights and find their own. The ability to run R scripts and use R-powered custom visuals gives Power BI advanced custom visualization, modeling, and predictive capabilities for advanced analytics workflows. Easily bring data in Power BI back to Excel for ad-hoc analysis. 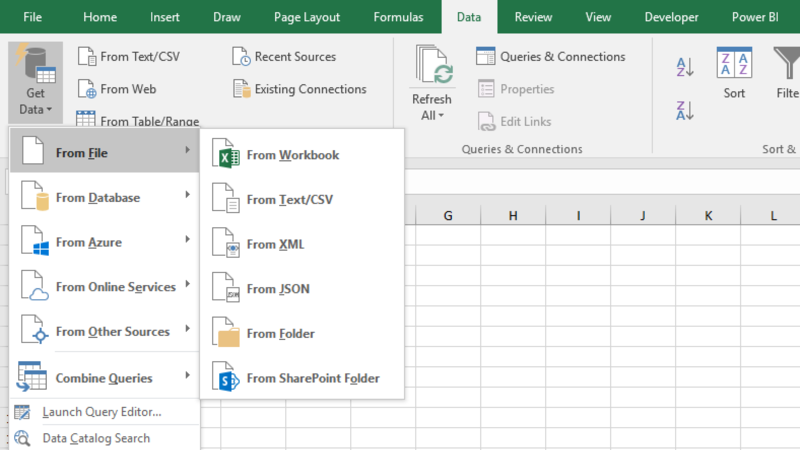 With a single click, connect to your data models directly from Excel to create powerful PivotTables and charts. Connect to your Excel data to create stunning interactive reports and tell your data story using a drag-and-drop canvas with more than 85 modern data visuals. Use Power BI Pro to share and distribute reports with others, without any complicated setup, and get a 360-degree view of your business in one place, including Excel reports and objects. 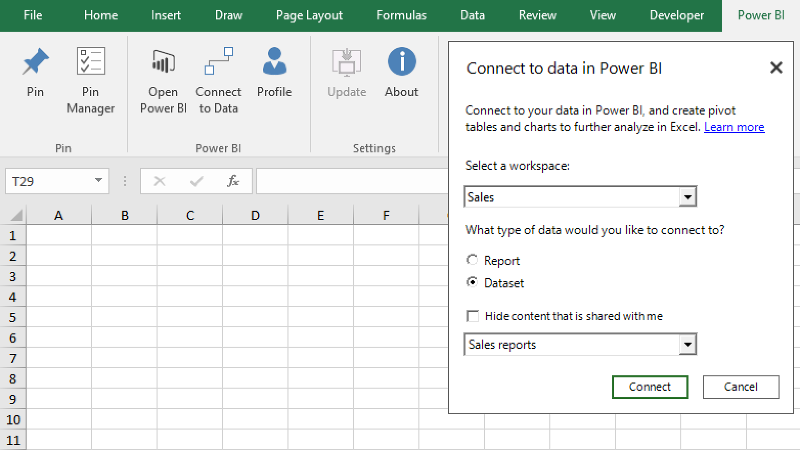 Save snapshots of important PivotTables, charts, cell ranges, and more from across all of your Excel spreadsheets—directly from Excel to Power BI. Pin your Excel insights from multiple spreadsheets to dashboards in Power BI and share them with your colleagues, all in one place, or connect live to your Power BI models for further analysis.